My iVisor AG/Umbra screen protector isn't sticking anymore. How to install/remove my iGlaze for MacBook case? How to update Symbus’ firmware? My ClearGuard keyboard protector isn't sticking anymore. My iGlaze rubber feet are coming off. What does the LED light on my Symbus indicate? Why is my battery at 100% but Symbus' charging LED is still orange? The rubber feet on iGlaze for MacBook are designed to withstand all kinds of different scenarios, under normal usage. However, in the unlikely event that you are experiencing any issues with the rubber feet after dropping the case or other accidents, Moshi's got you covered! Your proof of purchase, Moshi order confirmation number, or product registration information. Once we have your information, someone from our Support team will reach out to you with more assistance regarding having a replacement set sent out to you as soon as possible. Once you have received your replacement set, you can come back to this page for complete installation instructions. The replacement rubber feet come equipped with an adhesive layer. Clean off the area of the missing rubber feet, remove the sticker covering the adhesive on the replacement feet. Stick the replacement on to the case and press down firmly. These rubber feet have an integrated design and do not require any adhesives. First, please remove the bottom part of the case from your MacBook.Then, if necessary, completely remove both sides of the rubber feet being replaced (they have two layers, make sure both the outer and inner layer have been removed from the case). There will then be a hole in the case. From the "inside" of the case (the part of the case normally having direct contact with the computer), take the new rubber feet and push it through the hole until it "clicks" into place. 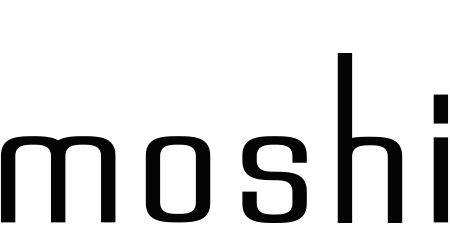 For more assistance do not be afraid to reach out to support@moshi.com.